A kind of novel high-strength copolyamide 6/66 fibers prepared by an effective and simple approach is reported in this paper. Firstly, PA6/66 copolyamide was obtained by polymerization of caprolactam and nylon 66 salt, and then PA6/66 fibers were prepared after melt-spinning and drawing process. The effects of draft ratio and drawing temperature on the mechanical property and crystalline structure of PA6/66 fibers were investigated. The results revealed that a complete disappearance of γ crystal occurred in PA6/66 fibers after drawing. When the draft ratio was 4.0, the breaking strength of PA6/66 fibers was 4.57 cN/dtex, which was easy to reach the standard of polyamide fiber superior product (4.0 cN/dtex). Furthermore, the highest breaking strength of PA6/66 fibers could be achieved (5.12 cN/dtex) when the draft ratio was 4.5. As the draft ratio increased, the crystallinity of PA6/66 fiber also increased from 44.5 to 64.4%, while the degree of orientation increased firstly and then decreased. On the other hand, the lower drawing temperature (below glass transition temperature (Tg)) favored the orientation of the PA6/66 fibers. When the drawing temperature increased, the crystallinity of the fibers appeared at a maximum temperature of 40 °C. 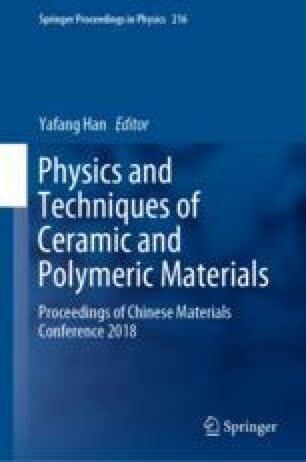 The authors gratefully acknowledge the support from the Fundamental Research Funds for the Central Universities (2232018A3-01,2232018D3-03), the National Natural Science Foundation of China (51733002, 51603033), the Science and Technology Commission of Shanghai Municipality (16JC1400700), and the Innovation Program of Shanghai Municipal Education Commission (2017-01-07-00-03-E00055).